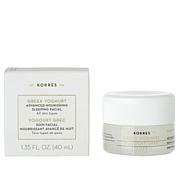 A cooling mask that contains probiotics, hollyhock extract, caffeine, ceramides, Vitamin B5, sodium hyaluronate and other key ingredients for the look of smoother and more youthful skin. Use the mask immediately after opening the packette. Remove that mask from the packette and carefully unfold. Delicately remove the cloth backing from one side. 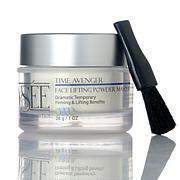 Apply the mask onto clean, dry face and adjust onto facial contours keeping the mesh on the outside. Carefully remove the mesh liner using both hands. 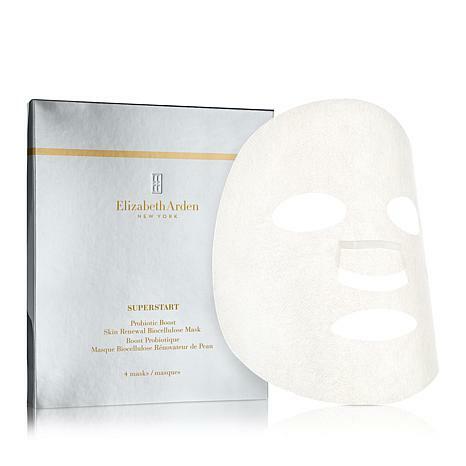 Smooth the mask to fit the contours of your face. Leave on for 15-20 minutes. Remove and discard the mask. After you remove the mask, massage any remaining serum into skin. Follow with your usual skincare routine. 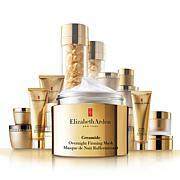 “To be beautiful is the birthright of every woman” was the mantra of legendary innovator Elizabeth Arden. From skincare to timeless fragrances, this iconic beauty collection is designed to empower all women to be fully radiant. Select a timeless lip color, indulgent moisturizer or signature fragrance and find the beauty within you. Remind me about Elizabeth Arden upcoming shows.